Another festival... another bottle of hot sauce. I bought this one at the 1st Annual Melrose Butterfly Festival. 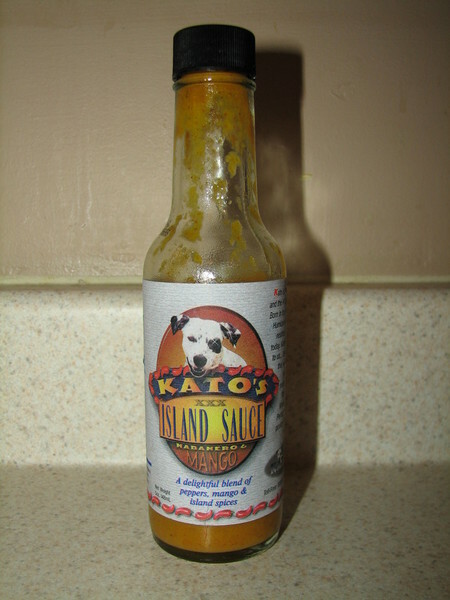 Kato's Island Sauce with Habanero & Mango is sweet, spicy, and delicious! It was great on chicken, steak, and black bean burgers.